Shopping in the supermarket, waiting in the bank, having a swim in the pool, strolling on the streets of Miskolc, taking trips around the city - Stipendium Hungaricum students are a part of the community of Miskolc and residents meet them often during their everyday lives. 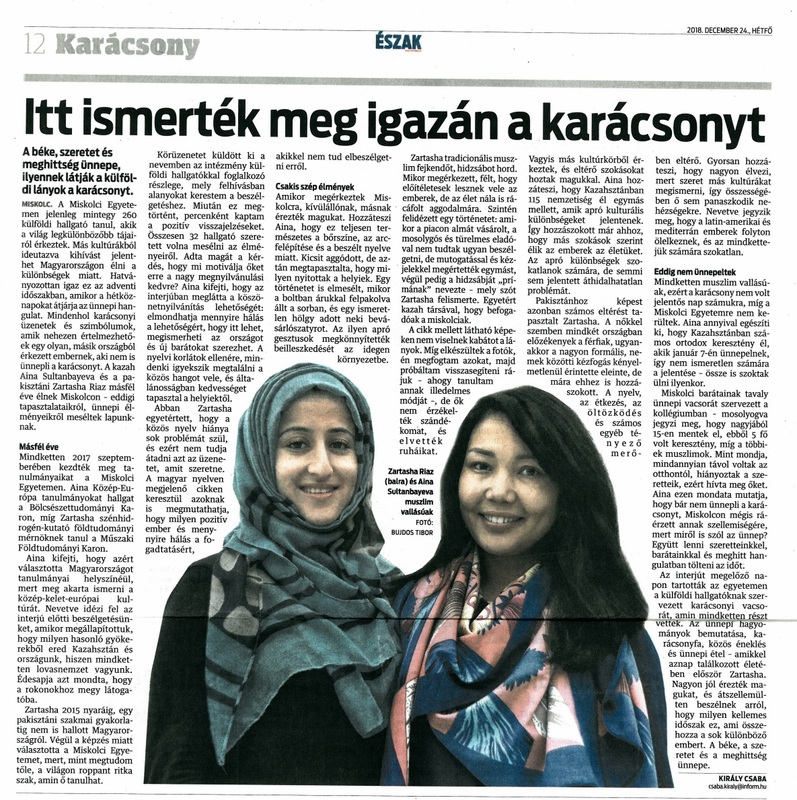 Therefore, the biggest local daily newspaper decided to introduce our international students to its readers. The article is in Hungarian, of course, so not everyone will understand, but it is easy to see, that beside occasional language barriers, international and Hungarian people find a way to get well, they are interested in each other's customs, point of view and opinion.